Barrel launched a new website for Revolution Foods. Founded in 2006, Revolution Foods is a leading provider of healthy family meals across the nation. They proudly design, produce and deliver over 2.5 million meals per week with the goal of building lifelong healthy eaters with kid-inspired, chef-crafted™ food. The new website, built on WordPress, uses a modular framework to support Revolution Food’s growth as the organization expands its products and services to serve the country. It was important that the audience understand that beyond serving freshly-prepared meals, Revolution Foods supports schools with operational problem solving and a variety of educational programs. 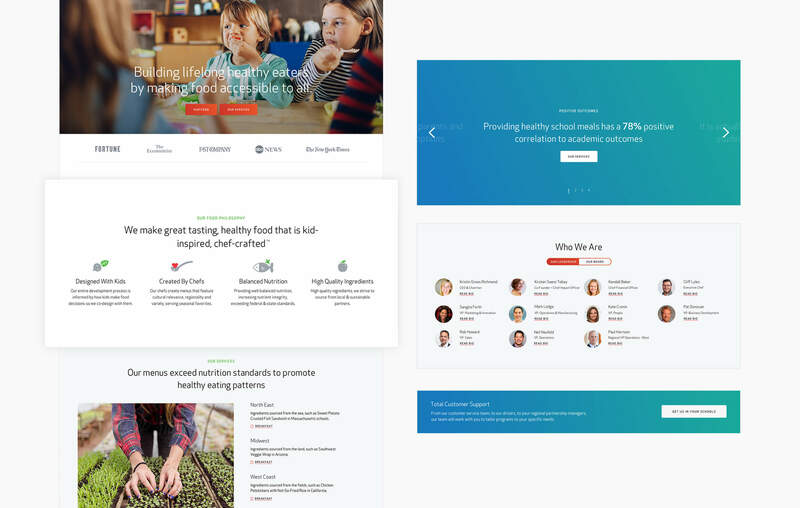 As the thought leader on childhood nutrition it was important that the website reflected the organization’s expertise on citywide wellness and community health. 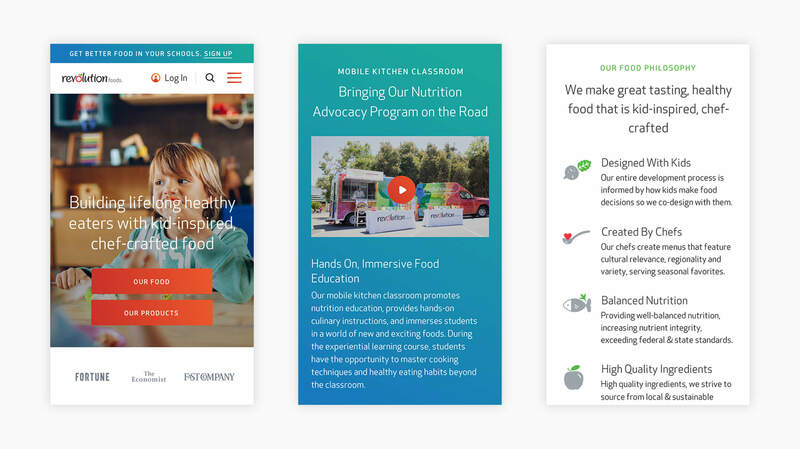 The site introduces The Bite, Revolution Food’s blog sharing content on driving food innovation in schools. For the past 12 years, Barrel has collaborated with numerous brands to think strategically about their digital experiences. Barrel’s work with Revolution Foods adds to the agency’s growing roster of clients in the health & wellness industry such as KIND Snacks, Bare Snacks, Zupa Noma, and Sakara. Check out the site at revolutionfoods.com.